Your wedding day is one of the most important days of your life. You've spent countless hours picking out the perfect dress (or tux! ), a tantalizing menu, and ensuring the decor is just right. The last thing you need is an out-of-touch DJ who makes the party about him or herself. At Market Sound, your big day is important to us! We'll provide a professional wedding DJ who knows how to read a crowd and use (not abuse) the microphone. Someone with that uncanny ability to pick the perfect song for the moment. A DJ you can trust to ensure your wedding reception is lively and memorable! If you like the sound of that, then you've come to the right place. Our personalized packages and thorough planning process helps ensure the atmosphere at your wedding reception is exactly what you're looking for. With our help, your vision for the perfect evening can become a reality! Market Sound Entertainment is Edmonton's premier mobile DJ service with over 15 years in the business, and hundreds of happy newlyweds. Our customer service is tops in the industry! We have a tonne of reviews with a 5-star average on Google, Facebook, and Yelp. If you're looking for the best wedding DJ service in Edmonton. Look no further. •We build a custom playlist for each one of our clients based on our thorough planning process. •Flexible DJ packages. Whether you require ceremony DJ services, our fun-filled photo booth, gorgeous uplighting, sub-woofer, projector, haze machine, GOBOs, we'll help create the ideal atmosphere for your wedding day! •We play it all. Current Top 40 (we update weekly), Classic Hits, Hip-Hop, Country, EDM, Rock, Slow Dances, Swing, and anything else you can think of. Requests and do-not-play lists welcomed. •High-quality sound systems, dance floor lighting, wireless mic, and backup equipment. Standard with every booking. 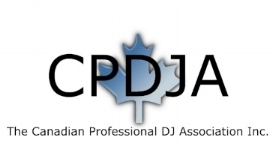 •The most reputable DJ service in Edmonton. Over 110 verified 5-star experiences on Google, Facebook, Wedding Wire, and Yelp.